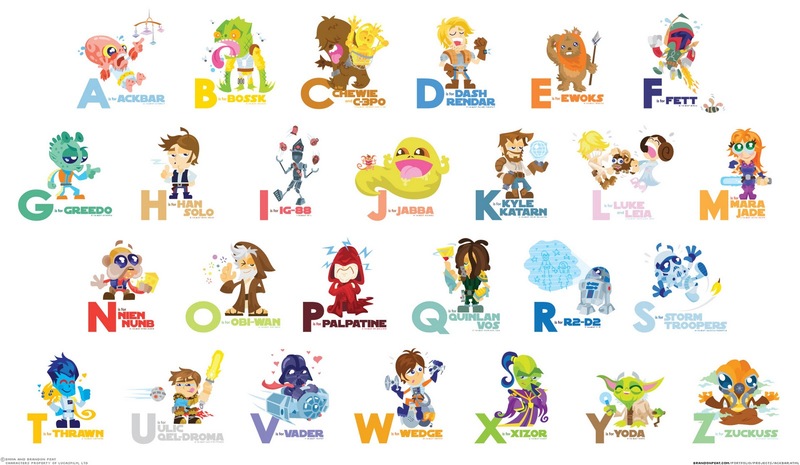 Kryptonian Warrior: The Star Wars Alphabet! You've gotta love this alphabet made with cartoon Star Wars characters by artist Brandon Peat. You can view his whole page HERE which has high res individual images of each letter/character.